The Pagination addon allows you to paginate gallery images across multiple pages – ideal for larger galleries. Do you want to split your WordPress galleries into multiple pages? Envira Gallery’s pagination addon allows you to paginate your galleries and albums! Pagination allows you to display your image thumbnails on multiple pages, and therefore speed up your load time and make your images easier to view for your visitors. This is extremely useful for galleries and albums with a lot of images. For example if you are putting up an album of 100 photos, you can set a limit of 10 images per page, allowing your users to focus while still showing off your amazing images! Once the pagination addon is activated, a new tab will show up when you create or edit galleries and albums. 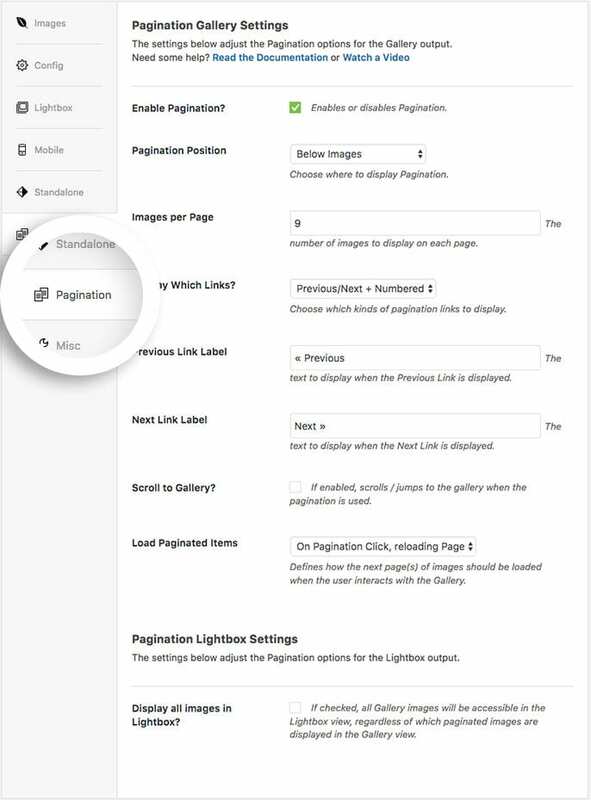 You can turn pagination on and off with a simple checkbox as well as determine how many images appear on each page. View our demo of Envira’s Pagination Addon!